George at ASDA isn’t the first place I would think of to find bargain versions of high end make-up products. But having tested out the new Shimmer Me! bronzing/highlighter I am pretty impressed. 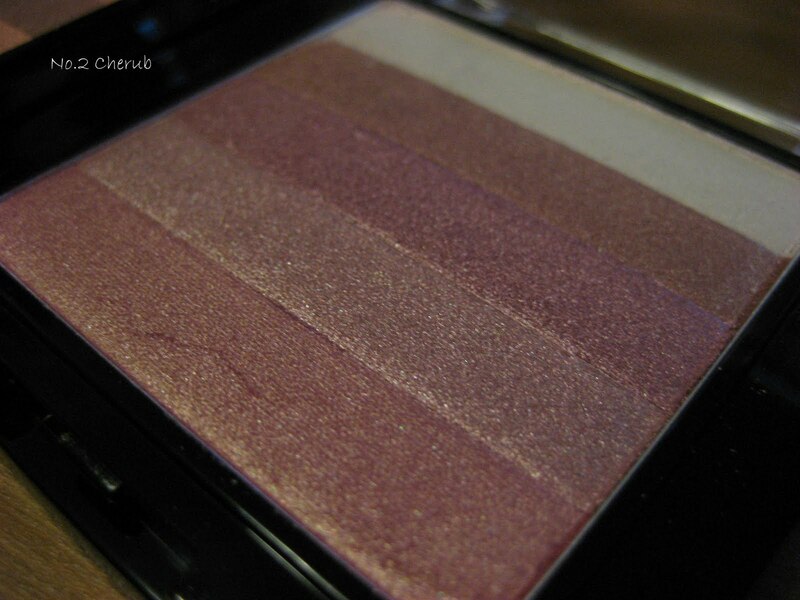 It’s priced £4.50 and much like the famous Bobbi Brown Shimmer Brick (and the many other imitations out there) it contains ribbons of silky powder in varying complimentary shades. I have been having a play with No.1 Angel and No.2 Cherub – cute names, lovely products. I found on both shades all the colours are perfectly silky and light – with reasonable colour pay-off. I did however need to swatch each of the shades a few times to make sure I got enough colour to be picked up by my camera. Shade No.1 Angel is a range of peachy/orange toned colours – ranging from a pale yellow/white to a bronze in the middle, plus peach and two similar orange shades. This set delivers a really flattering glow and I can see it becoming a regular feature for summer nights. If you like coral/peach shades then this will probably call out to you. No.2 Cherub contains shades of pink ranging from a pink-toned white (white with a pink shimmer) to a rosey pink plus a paler shade and pinky coral shade at the bottom. This is the one I would use more at this time of year as I don’t have a tan and it will work well as a blush/highlight rather than bronzer. I’m reasonably impressed with the packaging for both of these, although not amazingly stylish or glamorous – it is very solid and sturdy for an affordable product and I reckon it would withstand being in a handbag. Down sides? I don’t really have any – these are slightly glittery, but as it’s a highlight/shimmer product that is to be expected. I wouldn’t wear these in the day as glitter generally doesn’t look flattering in daylight. So, overall – ASDA done good! Now I just wish that ASDA was a bit more convenient, so I could go there more often. All products from this review were sent free of charge for review. All opinions are my own and honest. This is very pretty! 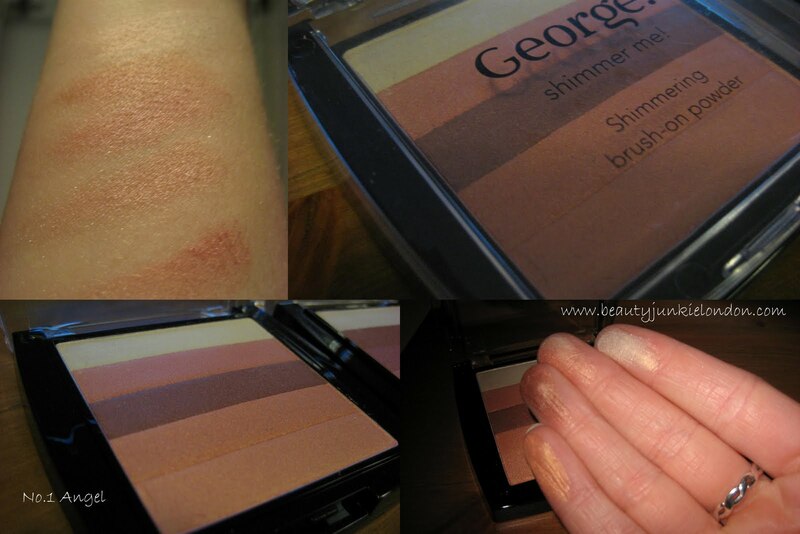 A nice dupe for Bobbi Brown’s Shimmer Bricks, me thinks! They are lovely and silky smooth. Currently loving the pink one.